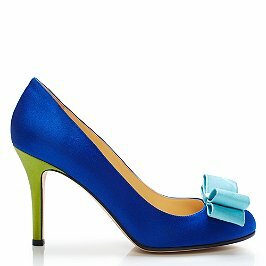 Here's another beautiful pair of shoes that I bought as a birthday present for myself. Who knew that cobalt blue, turquoise, and chartreuse would look so great together. I wore these to church with the skirt in this post, a white blouse, and a turquoise sweater.